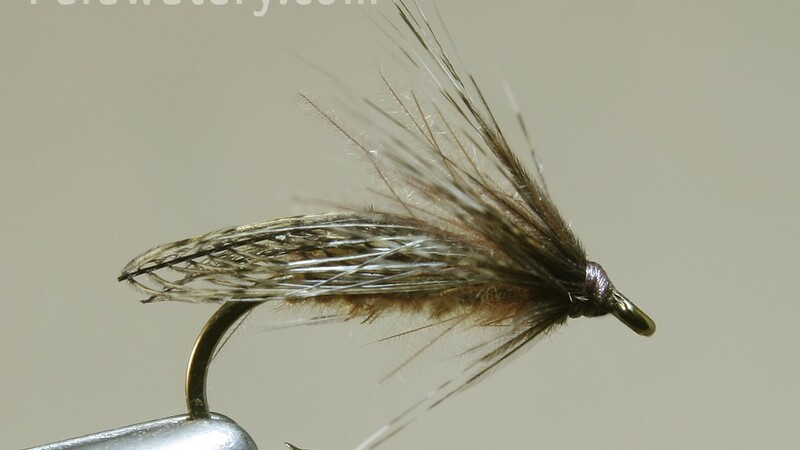 This fly was shown to me by one of the best river anglers I’ve had the privelage to fish with, Davie Park, and has probably accounted for more Grayling over the last winter than any other fly. 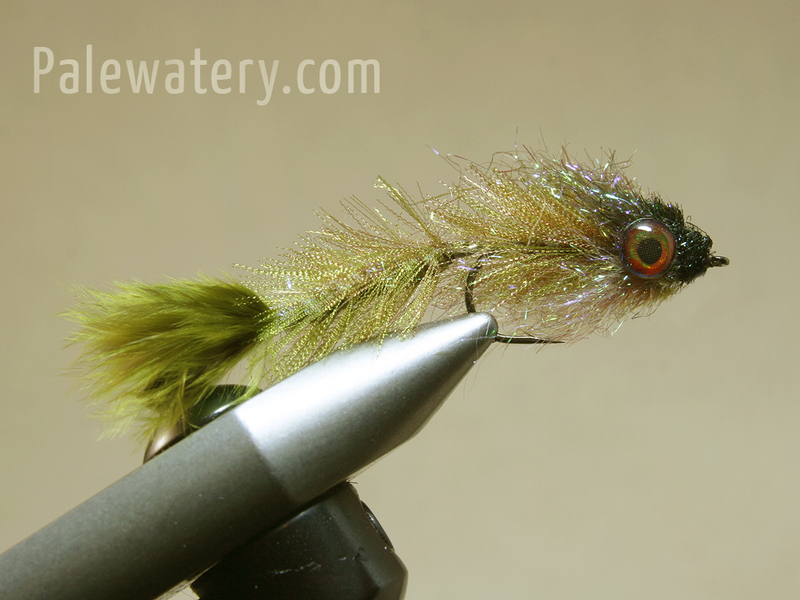 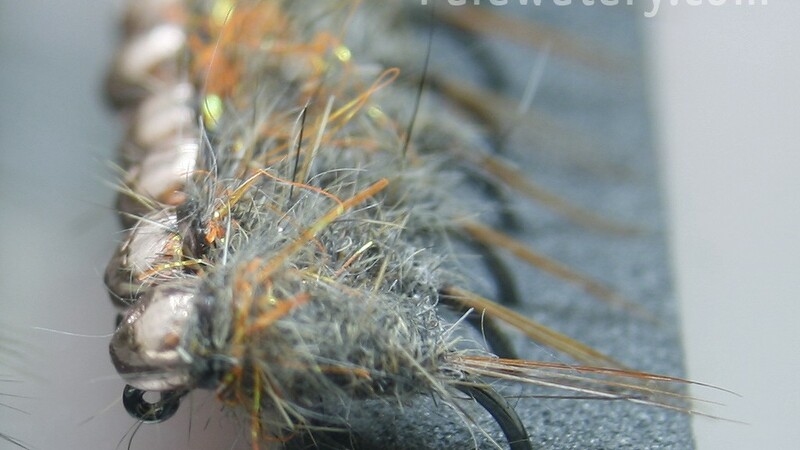 I’ve no doubt it’ll prove to be a great point fly on a Trout leader too. Tied on a Partridge SUJ #16 this is a lot of weight on a small hook with the bulk of it over the eye so it ALWAYS fishes point up and by design gives a small fly with a lot less bare hook showing. 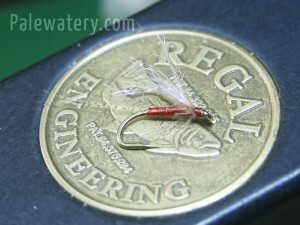 Weight: Tungsten Jig Back, size to suit. Thread: Brown Nano Silk 12/0 (50D). 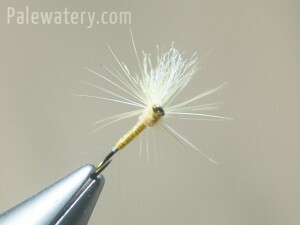 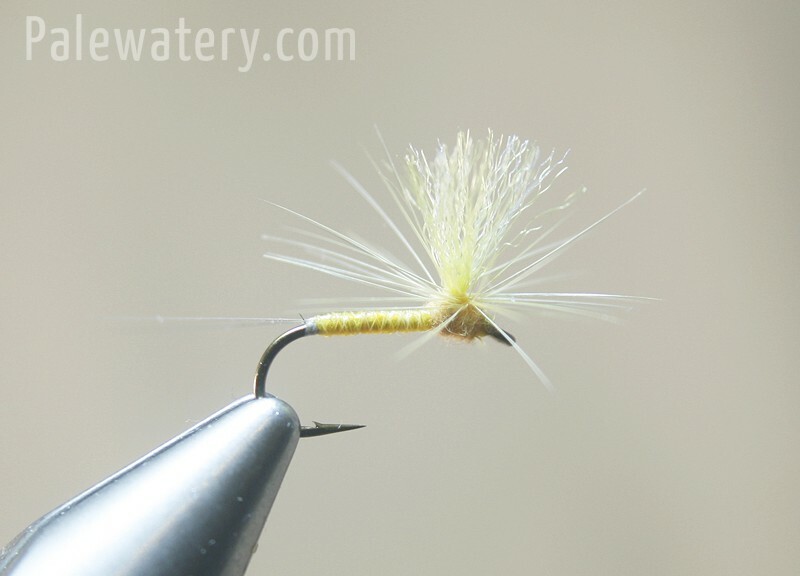 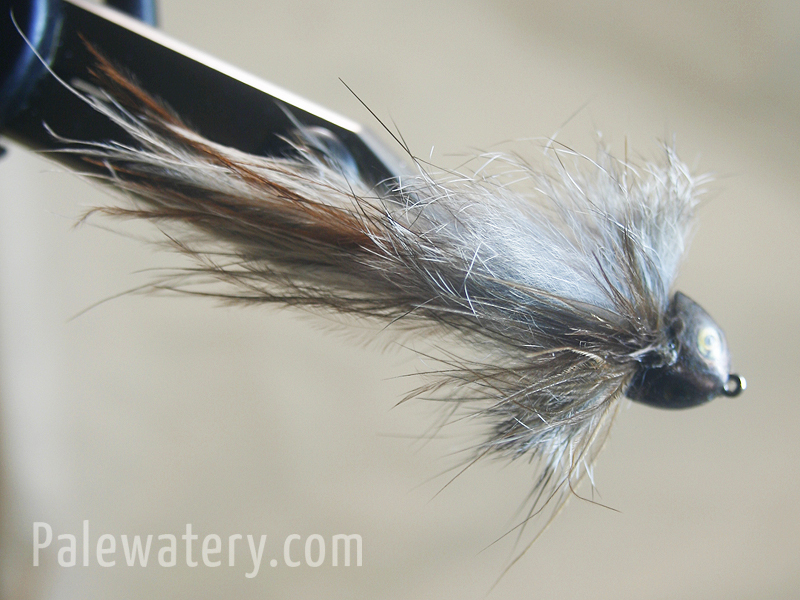 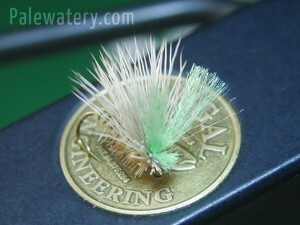 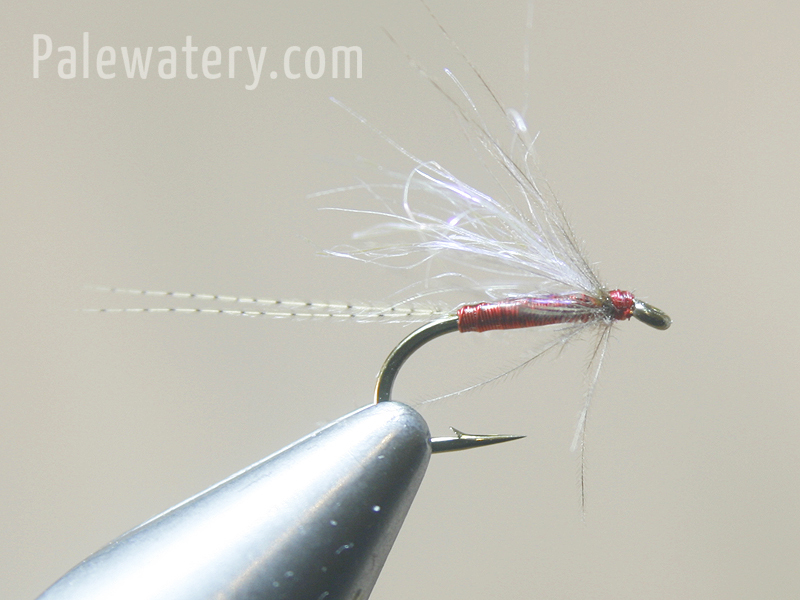 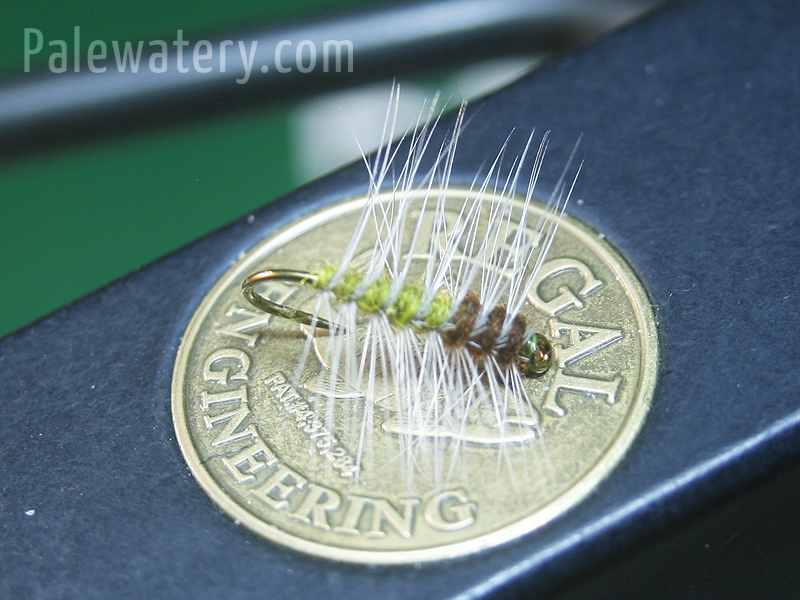 Hackles: CDC fibres in a split thread followed by a hen Coq De Leon Hackle trimmed to a V underneath. 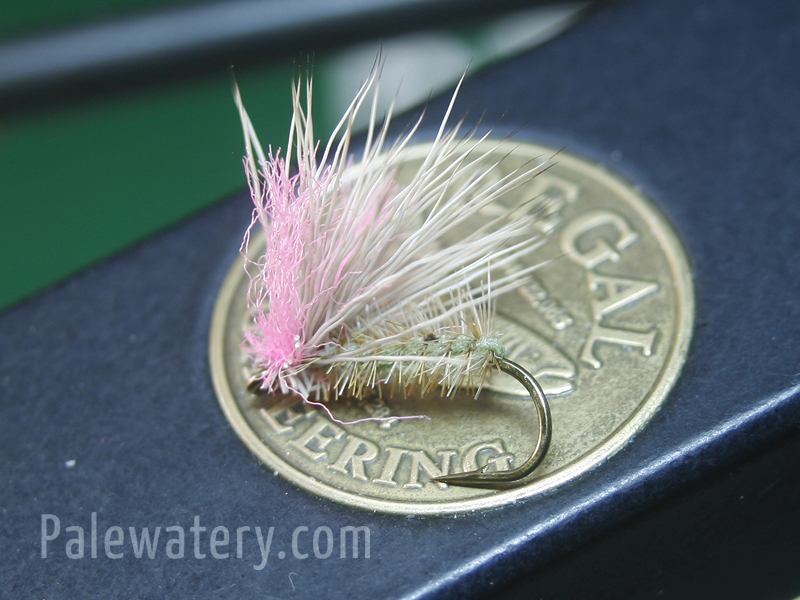 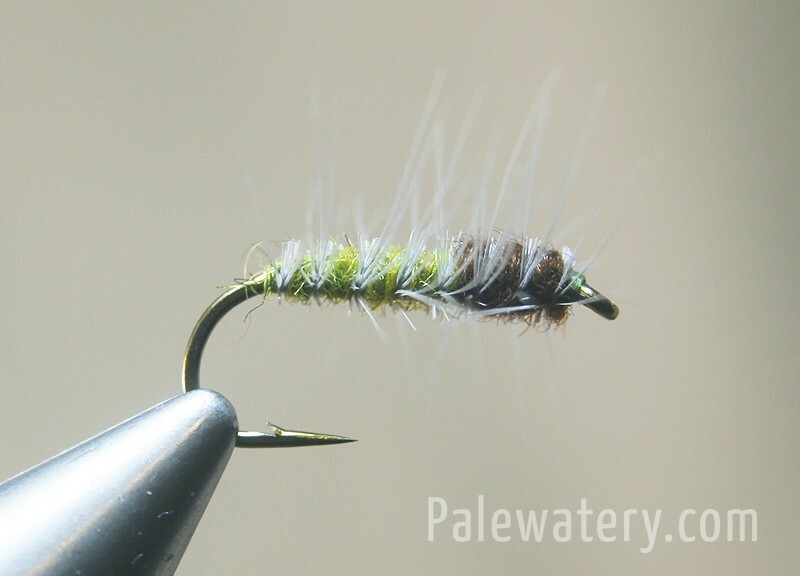 Heavily based on a fly I saw tied at the Dutch Fly Fair a few years ago, my sincere apologies to the originator but for the life of me I can’t remember who tied it to credit him properly. 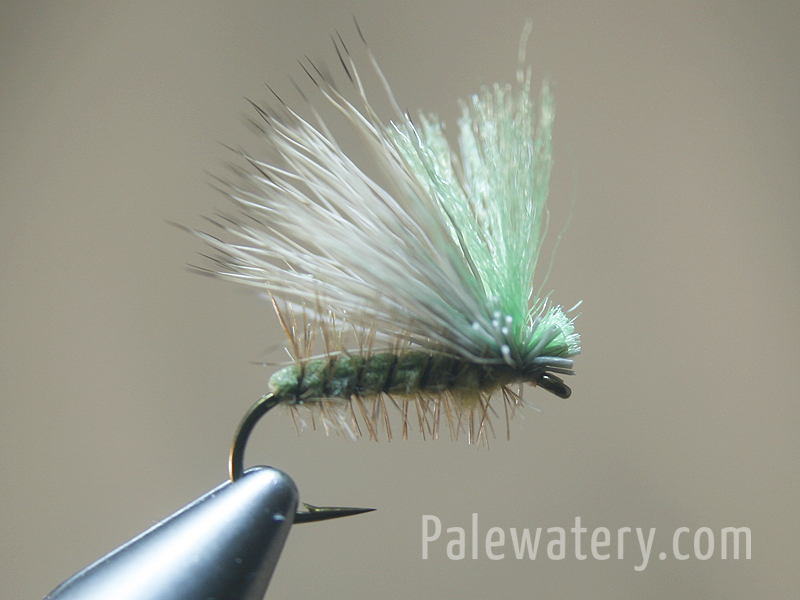 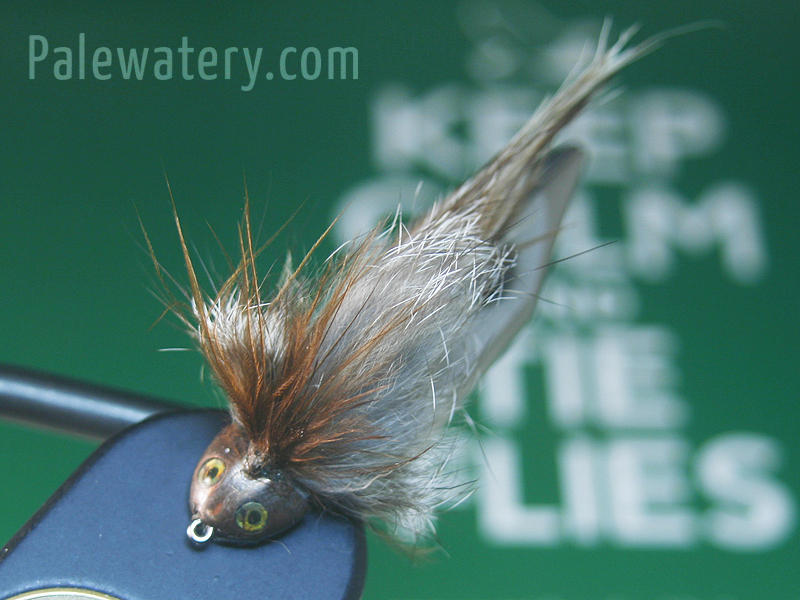 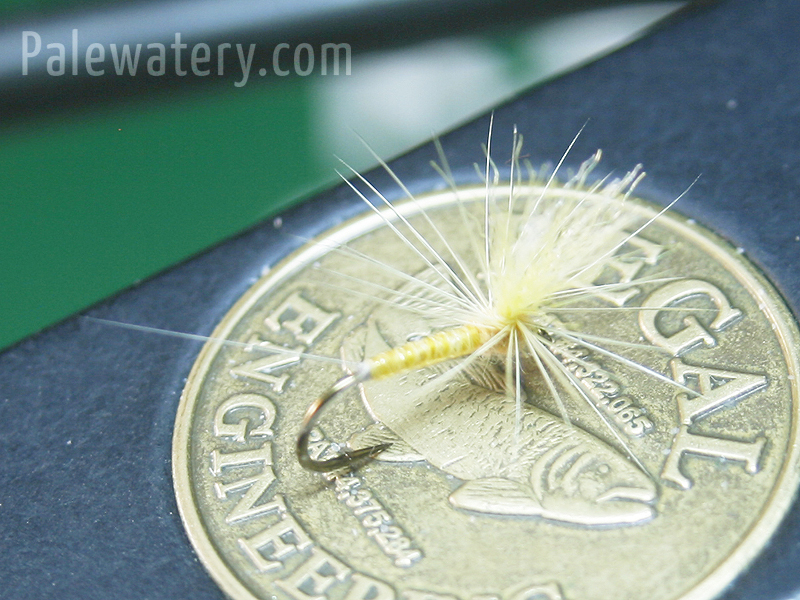 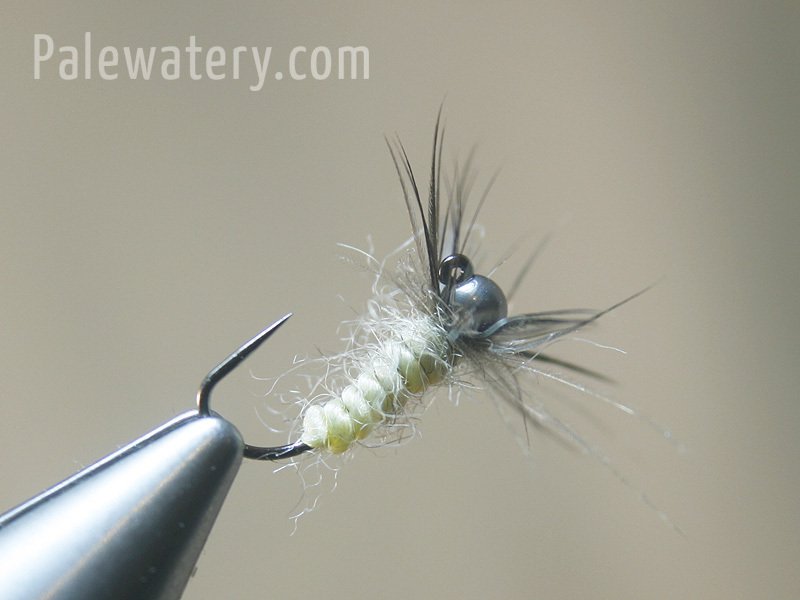 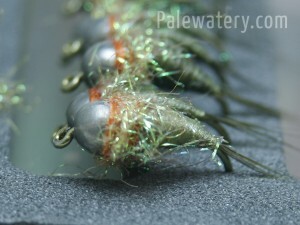 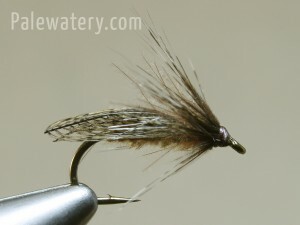 Tied to be as visible as possible and to float in the roughest water to work well as an indicator trailing one or two nymphs while still offering a good silhouette that can be a decent representation of Sedges and Stoneflies. Late into the evenings I use it with Fluoro green sighter wings to let me see the fly in near dark conditions and add a half hour or so onto my fishing where the fly is still visible. 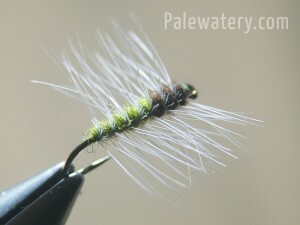 Even after dark or at a longer distance the high floating properties of the fly mean it is an effective pattern to use twitched or skated on the surface where you can feel the takes rather than see them. 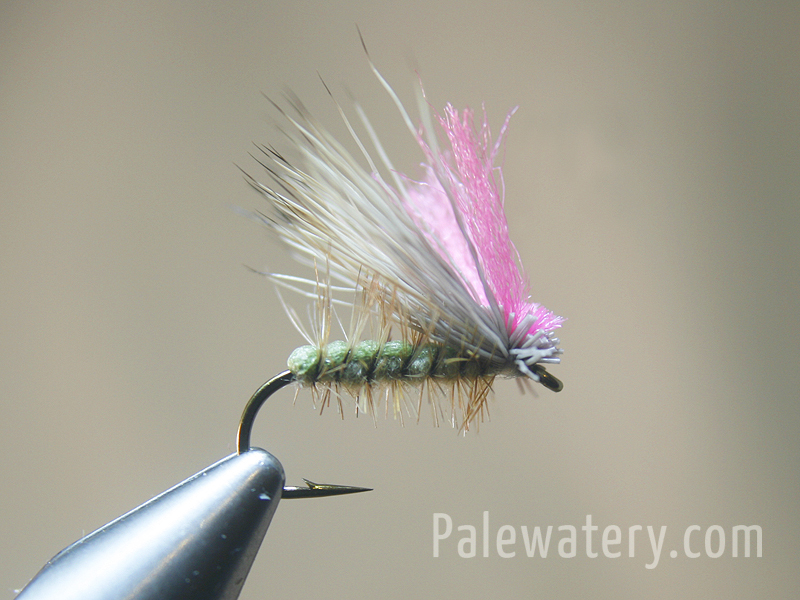 I like to carry different versions of the fly with Fluoro Pink, Fluoro Green and Black sighter wings as this gives me the highest visibility in all types of water however some people see colours in different ways so it’s worth experimenting with Yellow and Orange as options. Sighter Wings: Aero Dry Wing, Fluoro Pink, Green or Black. Two sections tied in as a wide V.
Collar: Small/short bunch of tail Marabou on top with bunches of Magnum Rabbit on each side. 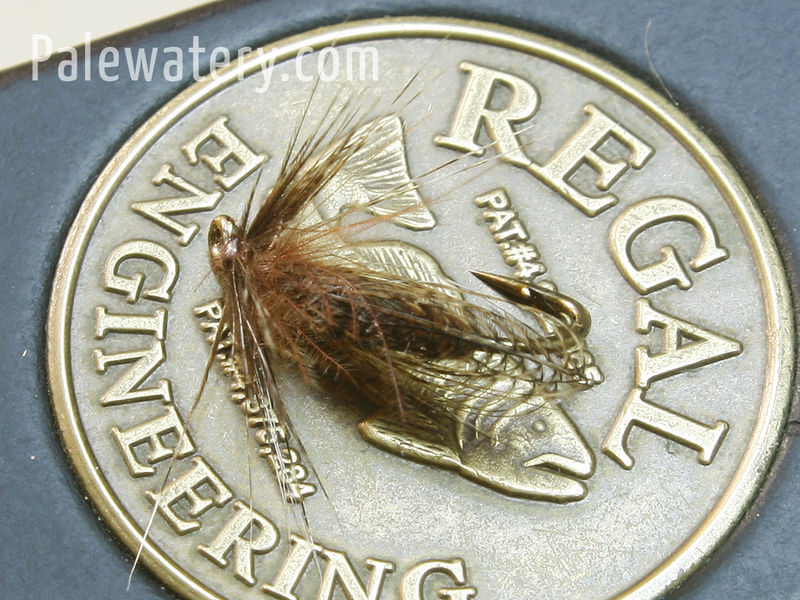 Nothing on underside. Plenty movement and the Rabbit near the head keeps a good wide shape.